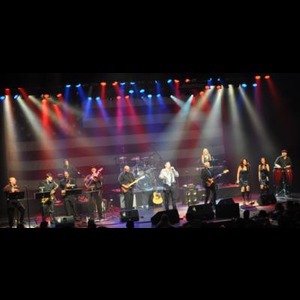 We are a 10 piece live ensemble covering all NeilREAL DIAMOND is a professional band dedicated to the faithful re-creation of the live Neil Diamond experience. We are obsessively passionate about providing you and your audience the finest Neil Diamond show short of having the man there himself. Curt Di Domizio fronts the band with a chillingly realistic Neil Diamond interpretation. 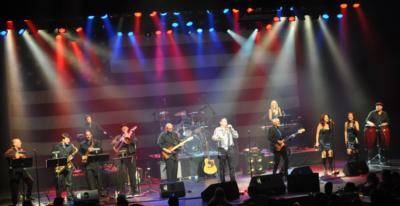 Your audience will be amazed and dazzled as they dance and sing along to four decades of incredible, unforgettable songs. Our set list includes note-for-note renditions of all Neil Diamond's greatest hits including: Cherry Cherry, Holly Holy, Kentucky Woman, Cracklin Rosie, Sweet Caroline, America, Love on the Rocks, September Morn, Solitary Man, I'm a Believer, Song Sung Blue, Heartlight, You Don't Bring me Flowers, If You Know What I Mean, Thank the Lord for the Nighttime, I am..I Said, Hello Again, Brother Loves Traveling Salvation Show, Play Me, Desiree, Shilo, He ain't Heavy, Red Red Wine, Forever in Blue Jeans, Beautiful Noise and many more. Thanks to Neil Diamond for the many years of wonderful songs! Diamond's music from the hits to the obscure. Please note Real Diamond - A Neil Diamond Tribute will also travel to North Wales, Spring House, West Point, Colmar, Gwynedd, Hatfield, Kulpsville, Montgomeryville, Gwynedd Valley, Worcester, Cedars, Line Lexington, Mainland, Souderton, Ambler, Blue Bell, Chalfont, Harleysville, Skippack, Creamery, Franconia, Hilltown, Collegeville, Dresher, Earlington, Lederach, Norristown, Silverdale, Telford, Eagleville.